With an eye to detail and superb training, Shamim has established herself as Cary’s popular beauty service provider. Shamim Beauty Spa and Salon offers waxing, facials, hair styling, party and wedding make-up. Shamim believes that beauty service should not be very pricy. Therefore, Shamim Spa and Salon offers beauty services at an affordable price. On top, we offer a soothing spa and salon ambiance to our clients. As a result of our dedicated service, we have attracted clients from Cary, Raleigh, Morrisville, Apex, Holly Spring, Fayetteville, Durham, Chapel Hill and beyond. Shamim Spa and Salon serves men and women, young and old. 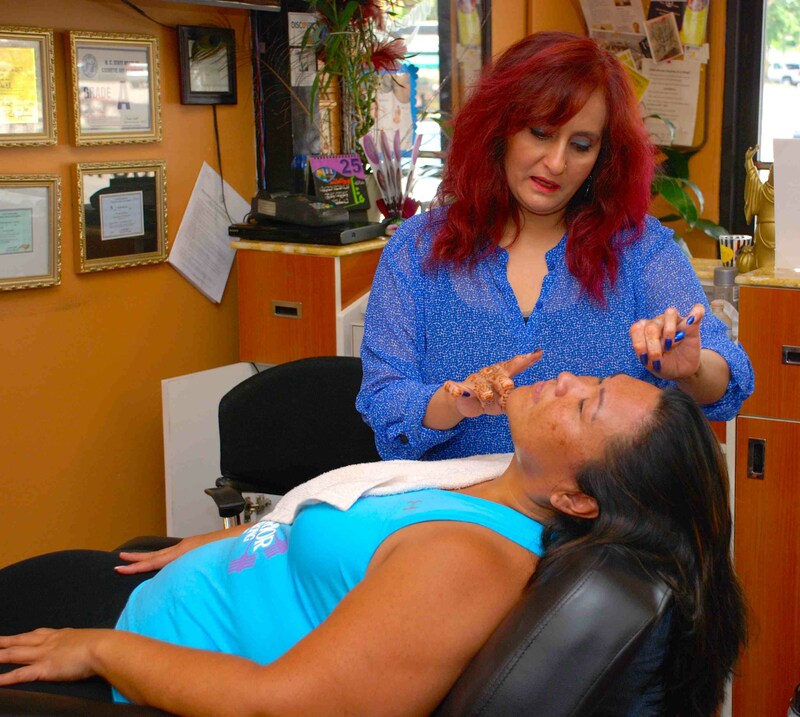 We offer modern beauty services coupled with traditional hair-removal services like threading. Contact Shamim Spa and Salon today! Shamim Parlor has launched a new service to enable online reservation via computer or smartphone. You can make an appointment HERE. You can read about Google Reviews HERE. Follow us on Facebook or Twitter.